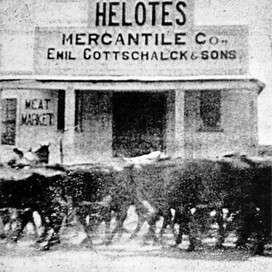 In 1966, residents interested in preserving Helotes' history formed the Helotes Historical Society. 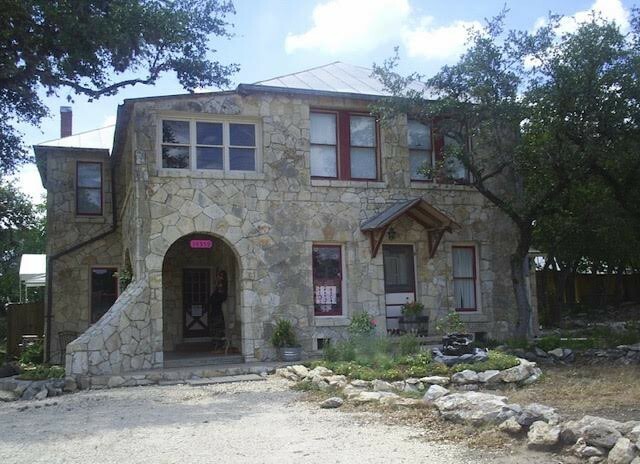 The organization was renamed the Historical Society of Helotes and achieved 501(c)3 tax-exempt status in 2010. Today, the Society continues to fulfill its mission to preserve the history of the area and provide educational opportunities. 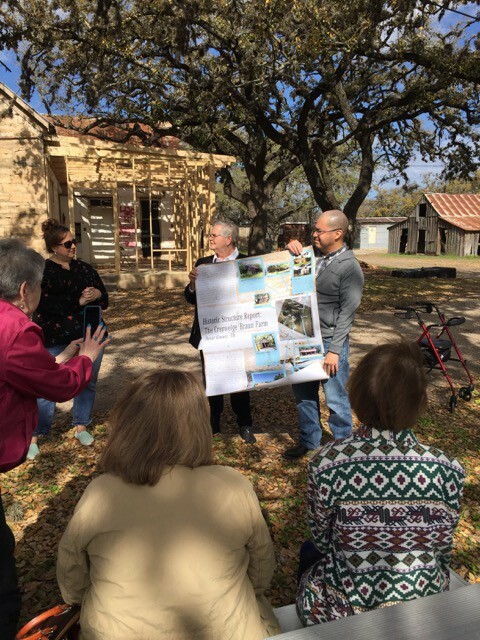 One of its primary goals for the future is the realization of a museum and visitors' center in Old Town Helotes. A fifth generation Texan, author Irene Sandell was a Texas history teacher for more than thirty years. Now retired from the teaching profession, she uses her expert knowledge in her award-winning novels and in documentaries for the Texas History classroom. In all, she has filmed, written and produced twenty documentaries and has also written several textbooks used in classrooms across the state. The videos encompass pre-history to modern times. For information, visit www.texasvis.com. Sandell is also the author of four award-winning novels set in Texas: In a Fevered Land, River of the Arms of God, House on Swiss Avenue, and Beloved Over All, winner of the 2017 WILLA Literary Award for Original Softcover Fiction and a 2017 winner of the Will Rogers Silver Medallion Award for Western Fiction. Sandell's novels combine her love of Texas history with her passion for writing. Her books tell the heartfelt stories of people woven into true places and events in the Lone Star State. Visit www.irenesandell.com for more information about her books. 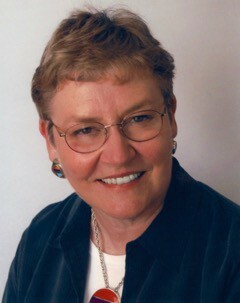 A resident of Plano, Sandell will autograph and sell copies of her books after the presentation. Includes a box lunch & beverage. Choose from a menu of three Jason’s Deli lunch options: Go to www.historicalsocietyofhelotes.org. Make a selection on the Meetings page. Your reservation or meal order must be made by April 29. Pay online—Your online order will be your reservation. Or send a check payable to: Historical Society of Helotes, PO Box 707, Helotes, TX 78023. If paying by check, send an RSVP to info@historicalsocietyofhelotes.org or call 210-695-5328. 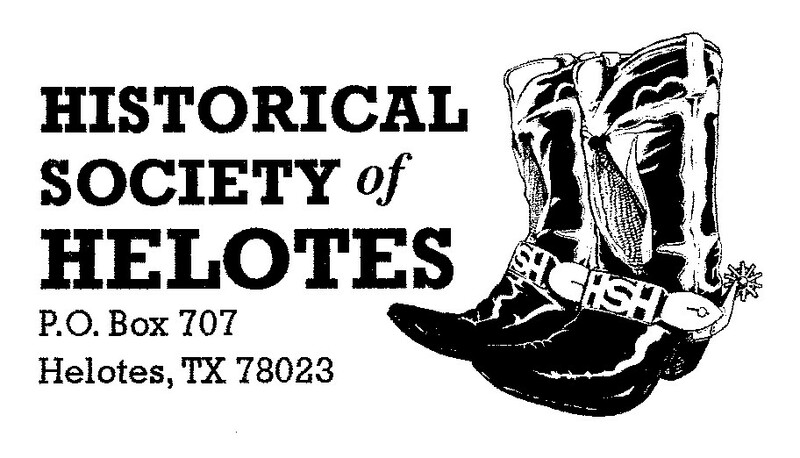 Please consider making a generous donation to the Historical Society of Helotes in 2018. 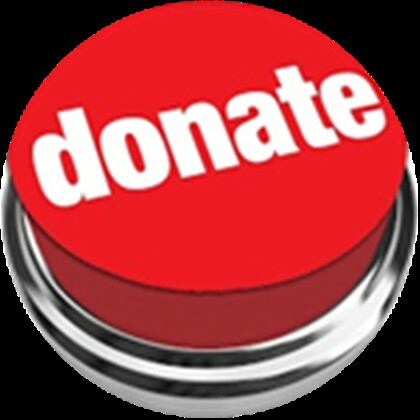 Remember that your donations are tax-deductible. Your name or business name and donation level (not the monetary amount) will be included on our website. A percentage of all donations will be dedicated to the museum fund. 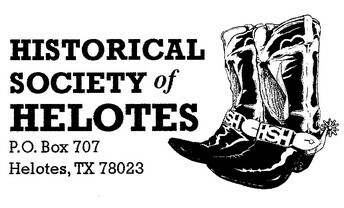 You can make your donation online, on the bottom of the Society's homepage, or send a check payable to the Historical Society of Helotes, PO Box 707, Helotes, TX 78023. You may have received a fundraising letter and donor form in April. You can download the Donor Form, below. Download the DONOR FORM by clicking here. Lifetime HSH member Ken Dempsey is opening a café and bakery in the historic Hileman/Riggs Boarding House building in Old Town. A grand opening will be held in May. Please support this new business in Helotes, which will be showcasing our art prints and archival photos and directing patrons to our website store. Our postcards and notecards may also be purchased at the new bakery. Ken has asked the Society for help in decorating the bakery with historic photos in a large format. 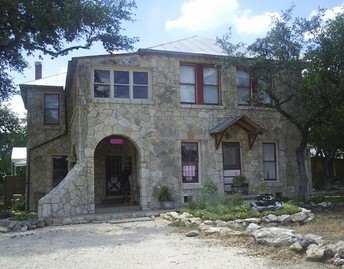 Our board is working on this project, which will be beneficial to the new bakery, the City of Helotes, and the Society. 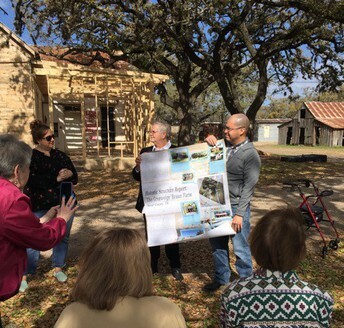 MARCH 6th—A group of twenty of our members met for an informative tour of the historic Crenwelge-Braun homestead and lunch at Two-Step Restaurant. 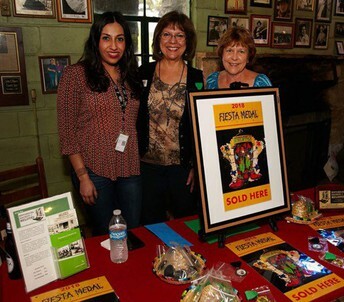 MARCH 27—Our Fiesta Medal Fundraiser was a great success. 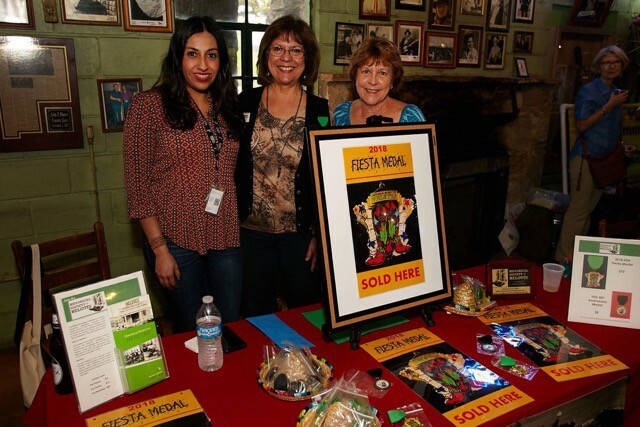 We sold out of our order of one hundred 2018 medals and the remainder of our 50th Anniversary medals, thanks to the UPS Store (one of our business members), the City of Helotes (Celina Perez), and the Helotes Area Chamber of Commerce Fiesta Bash at Floore Country Store! Looks like a 2019 medal is in order! 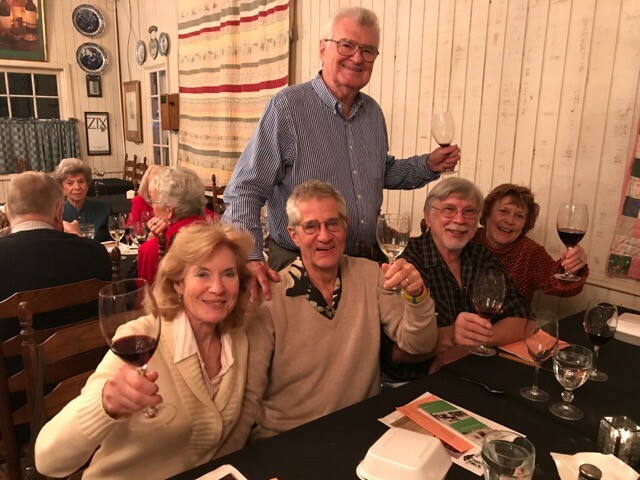 APRIL 9—Twenty-eight members enjoyed an evening of revelry, good food, and great wine at the 4th Annual Wine Tasting. 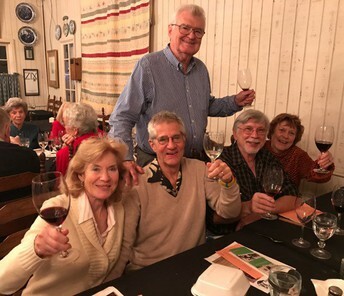 Dr. Lou Baeten gave a short talk about the various wines that accompanied each course, from Sauvignon Blanc to Cabernet Sauvignon.